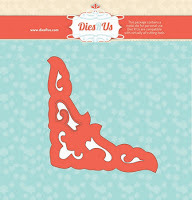 have made for the Dies R Us Inspirational Blog. 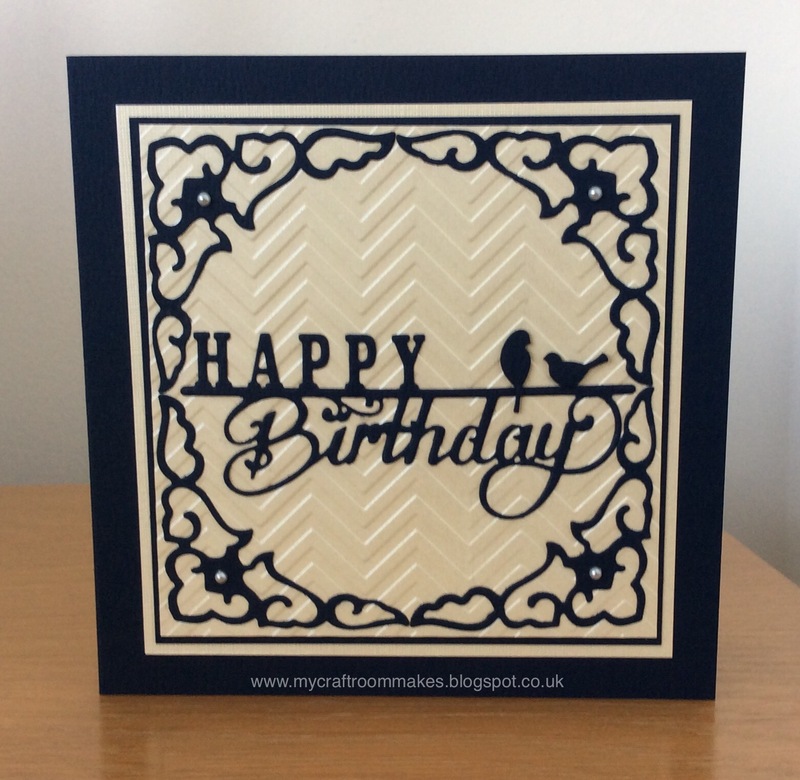 I started by making a 5 3/4" square card base in navy blue card. embossing machine using a chevron embossing folder. adhered to my card base. them to the yellow embossed card to make a frame. yellow card, using only two of the four resting birds. I added pearl gems to each corner to complete the card. Beautifully done, Janice! Those darling little birds really steal the show! Such a fantastic design idea! 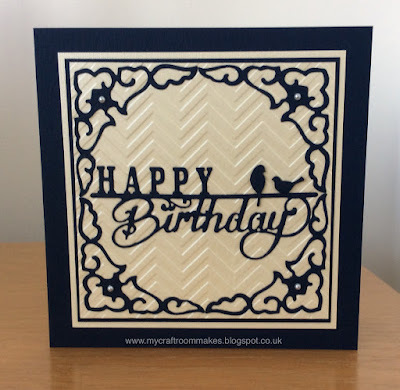 Loved how you framed the card by cutting four of those elegant corners, so pretty! I thought that frame was all one piece. How clever of you to make the corner piece into a frame!! This is very elegant and lovely. Wao Janice! this card is so cute... love the color combo. 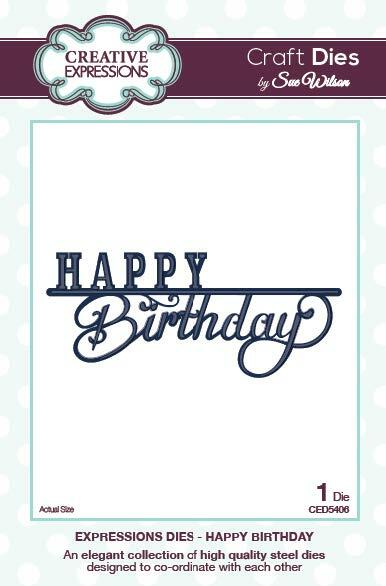 Lovely colors and embossing on the background.........great card for a guy or gal.